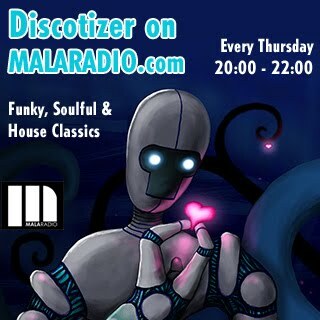 If you like listening to online radios (like i do), then you have now a new appointment: MALARADIO from Italy will play every Thursday a House Music Mix from me, always from 20:00 - 22:00 Central European Time. Go to the Website to tune in or click here. 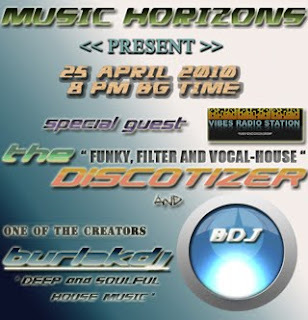 Another big event you can't miss: I will do a special Mix for my friend Burlak DJ from Varna (BG) which will be played on his Radio Show "Music Horizons" this sunday. I will play mostly tracks in this mix i haven't played so far in my mixes - but which i like to play on parties. So check the flyer for dates and make sure you tune in!